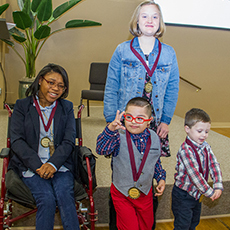 Miracle was only five years old when she first enrolled in an Easterseals program. After graduating from JA Fair High School in 2013, she began attending the Center for Training & Wellness where she enjoys socializing with her friends and learning new skills, such as preparing simple meals. Miracle is dedicated to reaching her therapy goals and is very motivated to walk by herself using her walker. She is quite proud that she has mastered her goal of walking 200 feet! 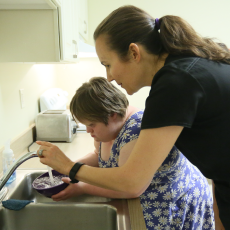 Miracle’s family’s goals for her are to love who she is and to become as independent as possible, with the hope of her one day living in her own apartment. This bright, ambitious and spirited young woman smiles broadly when she says that her future goal is to be a paralegal or a lawyer. Jessica has attended the Academy at Riverdale since sixth grade and loves her friends and teachers at school. Since being at the Academy at Riverdale, Jessica's social skills have increased and she has become the life of the party while at school. She was recently voted by her classmates to be class leader. Jessica stays busy participating in Special Olympics Cheerleading, Miracle League Baseball and Ican Dance. She adores her big brother, J.J., and her two dogs, Sadie and Buddy. When Jessica has "down time," she loves to color. Jessica is the biggest Star Wars fan you will ever meet and has seen every movie multiple times. Her favorite character - Darth Vader! She is excited to serve as a Youth Representative for Easterseals. Five-year-old Emmanuel “Manny” started coming to our developmental preschool a few months ago and is already one of the popular kids because of his social skills. He comes to class with a smile on his face every morning. Hardworking and intelligent, he plays well with his peers and is always willing to help them. During circle time, Manny sits at attention ready to answer questions and enjoys choosing snack helper as his job for the day. He is mastering his learning objectives and loves to play basketball on the playground, and we know he will be a stellar Child Representative for us. 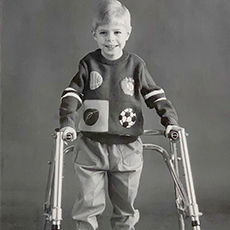 Jackson started receiving therapy on a regular basis a couple years ago at Stuttgart’s preschool. 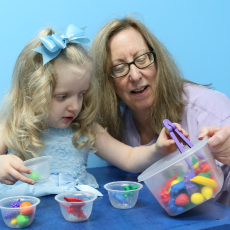 Jackson and his family have also traveled to Little Rock for the last 8-9 months so he could receive occupational therapy where has progressed tremendously. Jackson loves to climb, slide, and swing, and his sweet smile, infectious laugh, and warm snuggles are sure to win over your heart. We know they will over the next year as he serves as our Grand Prairie Child Development Center Representative!